Add pizzazz to any coloring, drawing, or art project with these chunky, colorful pencils from Koh-I-Noor. Every Magic FX Colored Pencil has a multi-colored barrel that matches the core, so you'll know exactly what to expect as you draw. Create a different effect with every twist of your wrist! 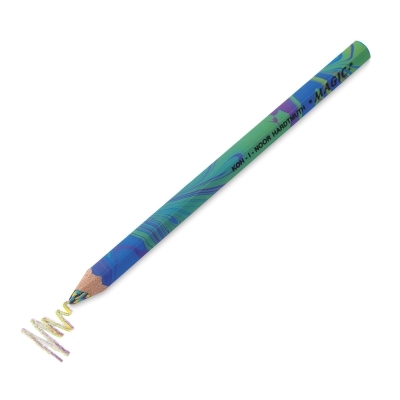 With colorful oversized barrels that are easy for small hands to hold, these hexagonal pencils are comfortable to use and create surprising effects with every stroke. They measure 7" long × 5/16" Dia.